RA Imaging Tests: What Tests are Done for Rheumatoid Arthritis? Rheumatoid arthritis (RA) imaging tests are used to look for signs of RA and to monitor the disease’s progression. These tests primarily look for bone damage in the patient’s joints caused by the inflammation associated with RA. X-rays used to be the most common form of imaging ordered, but they weren’t always great for reaching an early diagnosis. Today’s more modern technology provides advanced imaging techniques like MRIs and ultrasounds, which allow doctors to find early signs of RA more easily. All types of imaging tests are a critical component of diagnosing RA and monitoring the patient’s disease as it develops over time. Imaging tests provide doctors with a literal picture of the patient’s progression so that they can pursue appropriate treatment options. What are Rheumatoid Arthritis Imaging Tests? Imaging tests are tests that are performed on patients to help identify signs and progression of RA. These tests essentially look inside the patient’s body so that doctors and other specialists may assess the joint damage as well as detect and interpret specific abnormalities. Depending on what they find, doctors can use imaging test results to help reach a diagnosis of RA. What do Imaging Tests Look for? RA imaging tests look for signs of bone erosion, inflammation and swelling, tissue damage and overall joint deterioration. They are used for the evaluation of RA symptoms and in monitoring the progression of the disease over time. 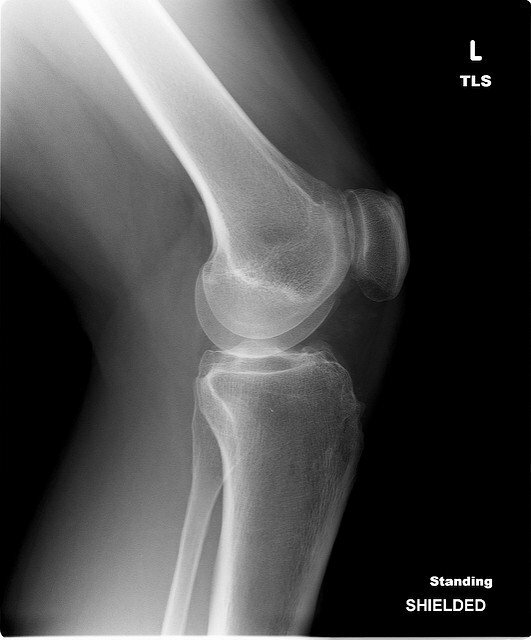 Imaging tests can show where the patterns of deterioration are beginning to form around the joints. Bone erosion is a very serious concern in RA patients and can be irreversible. Imaging tests identify this early on so that targeted treatment can begin and attempt to prevent further damage to the joint. If imaging tests do not find any specific or conclusive signs of bone deterioration, it doesn’t entirely rule out a RA diagnosis. It could mean instead that the disease is in its early stages and hasn’t yet produced any permanent bone damage. Imaging tests ultimately provide an opportunity to treat RA symptoms as soon as possible. Treatment is far more effective in reducing pain, stiffness, swelling and bone erosion when started in the early stages of the disease. Doctors may use one or a combination of all of these imaging tests to help reach a RA diagnosis and continue to monitor progression. X-rays are radiographic imaging tests that allow doctors to find locations in their patients where bone erosion is occurring at the joints. X-rays show doctors where the erosion is occurring and how quickly it is progressing. This type of progression monitoring happens when multiple x-rays are taken over time. X-rays are the standard imaging test doctors use to assess joint destruction in RA patients. Though x-rays are a preferred method of imaging test, they aren’t great at detecting the earliest signs of RA. This is because they only reveal damage after it has been done, which means the symptoms have progressed to the point of causing noticeable (and usually permanent) damage. The MRI test is a more advanced imaging technique which involves a detailed look into the patient’s body. Whereas X-rays mostly just look at bones, MRIs detect abnormalities in the soft tissues like muscles, tendons and joint capsules. MRIs are better at detecting early signs of RA as compared to X-rays. MRIs can reveal the active inflammation occurring in the joint capsule or early signs of bone inflammation and destruction (prior to any permanent damage being made). One early sign of bone deterioration is the build-up of fluid in the bone marrow. MRIs are able to detect these areas with greater fluid build-up, which helps in predicting future bone erosion. Ultrasounds are a newer technique used in RA diagnostics and monitoring. This form of imaging test uses high-frequency sound waves which are translated into pictures of the inside of the patient’s body similar to how a bat uses sound to see its surroundings. Unlike x-rays, ultrasounds do not emit any radiation. Like MRIs, ultrasounds are better at detecting early signs of erosion caused by RA compared to x-rays. Ultrasound results can reveal areas of joint inflammation, which can help support a RA diagnosis. The ultrasound’s ability to detect inflammation levels is also important in detecting disease progression. RA patients can sometimes show signs of remission. This means that patients and their doctors may decide to reduce or pause treatments. But if an ultrasound reveals that there is still inflammation present despite symptom remission, then the doctor knows to continue treatment. The use of ultrasound in monitoring joint deterioration in RA patients is becoming increasingly common. However, x-rays remain the gold standard that doctors use for monitoring RA disease progression. None of the imaging tests on their own can produce results sufficient enough to diagnose RA. RA is a clinical diagnosis, meaning that imaging tests must be used in combination with the assessment of physical symptoms, blood tests, and medical history to diagnose RA. Tests are helpful tools in reaching a diagnosis and providing a clear medical picture of the patient’s present condition. Imaging tests are also used post-diagnosis in order to continue to monitor the patient’s levels of bone erosion. Imaging tests can indicate the severity and speed of the disease’s progression in each patient. All three imaging tests can be used to monitor progression over the disease course. However, it is difficult for doctors to deliver a firm prognosis for RA as the disease manifests itself uniquely in each patient. Beyond using x-rays and other RA imaging tests to assess bone erosion levels, doctors cannot conclusively determine if deterioration will worsen or slow down other than what the image tests reveal at the time.